This VIS image is located on the eastern flank of Alba Mons. Linear faults and graben surround the volcano aligned north/south, intersecting and deflected around the summit. 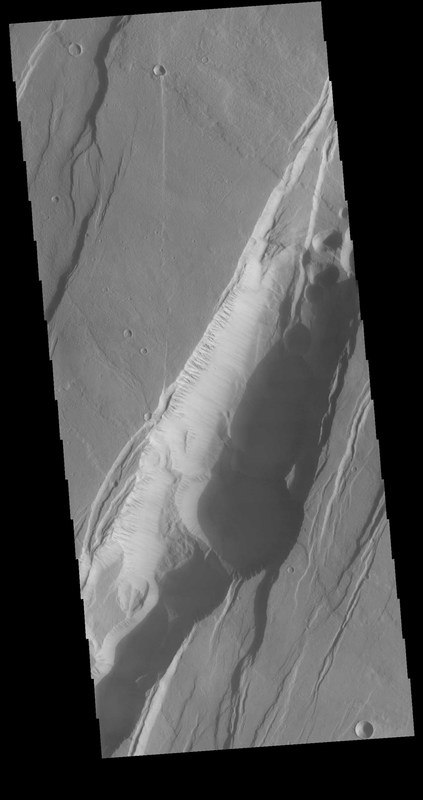 The large graben is called Phlegethon Catena. The term catena means a string of craters or circular depressions. The depressions in this image were likely formed by the collapse of the preexisting surface into a subsurface void. Graben are caused by blocks of material that drop down along paired faults.